Me VS. The Sugar...: Attack of the Cherry Twizzlers!!! I was attacked by a Cherry Twizzler today, it came out of nowhere. I was walking by a co-worker's cube, and then BAM@!#$$, it was in my hand and I just couldn't resist. I love Twizzlers, specially cherry-flavored, and this one was gone in an instant! 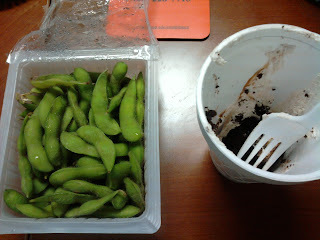 So as you can see, I'm going through my edamame stash at work with lightning speed. I love these tasty little treats. 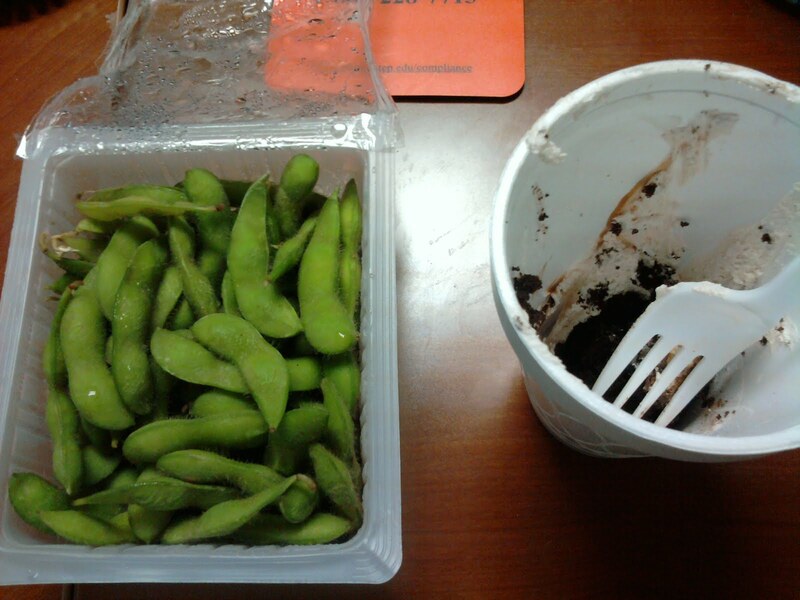 I had to get some protein to balance the Twizzler and the little tiny piece of birthday cake that was calling my name. I didn't have the apple I was planning to because I felt I was already on sugar overload. Oh that Sugar strikes again!! !